Can I block a user from sending me private messages? Yes. Any user, either administrator or not, can have the option to block another user from sending private messages to them. 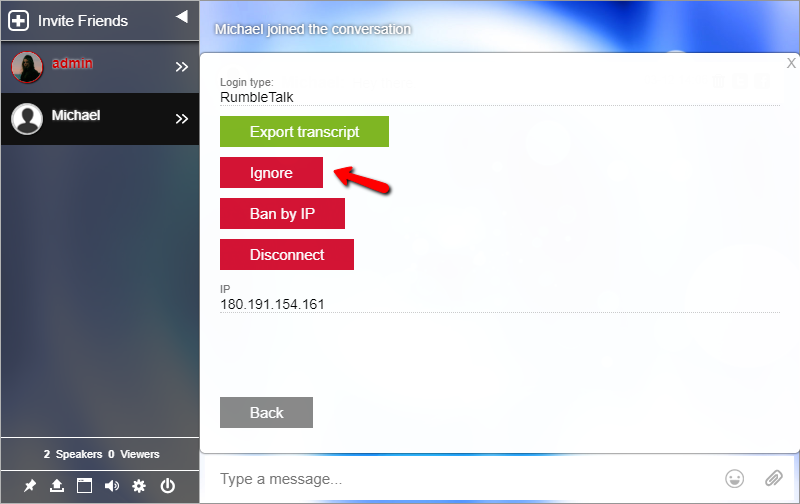 To do it, click on the user name you wish to block, click on the gear icon in the private message screen and choose the IGNORE button. Now you will not see private messages from this user. Note, when switching browser, or when the browser cache is deleted, you will need to do this action again. Previous postWhat method of encryption do you use within the group chat? Next postCan I delete chat messages?